Yashwant Sinha withdrew his three-day old agitation after an assurance from Chief Minister Devendra Fadnavis that all the demands put forth by the farmers would be fulfilled. MUMBAI: Former union finance minister and senior BJP leader Yashwant Sinha withdrew his three-day old agitation to press for the demands made by the farmers on Wednesday evening after an assurance from Chief Minister Devendra Fadnavis that all the demands put forth by the farmers would be fulfilled. “I received a call from Chief Minister Devendra Fadnavis and we had a good discussion regarding the demands put forth by the farmers. Fadnavis assured me that the government has accept all the demands and would act accordingly. 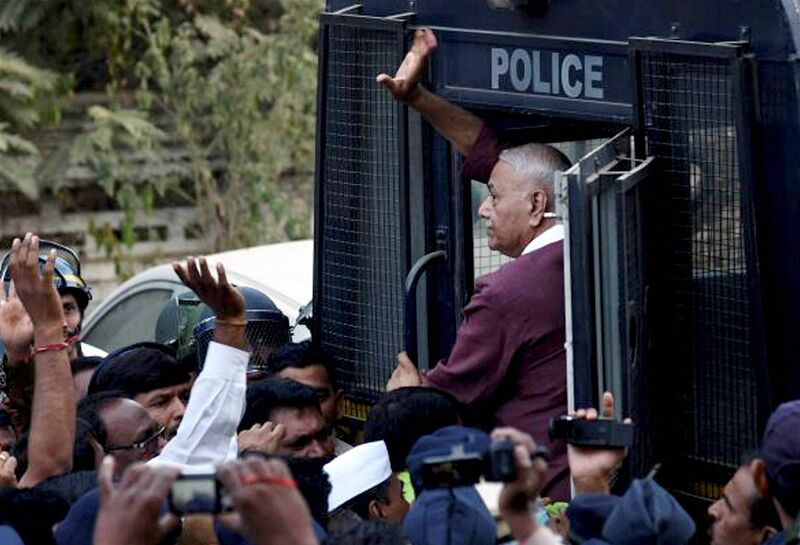 Hence we are now withdrawing the agitation,” Sinha told the reporters at Akola in the evening. “This is a victory of the courage shown by the farmers. Now none of them should commit suicide. The demands raised by us were concerning all the farmers from all across the state. 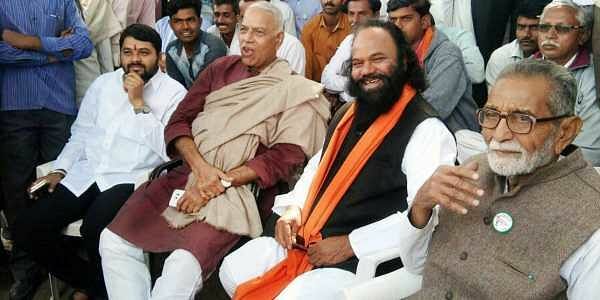 Hence the assurance given by the government would benefit all,” Sinha said. He also appealed all the farmers to go back to their homes, telling them that the agitation has been withdrawn. He also assured them that the agitation would be revived if the administration goofs up while implementing the demands raised by them. While Sinha had been agitating in the premises of the Akola district police headquarters for past three days, most of the political parties vouched support to him. On Wednesday independent from Vidarbha MLA Bachchu Kadu visited him and pledged support to his agitation. The demands raised by the farmers, over which the agitation was stretched for three days, included change in the clumsy rules for procurement of Urad, Moong, Soybean and Toor by NAFED, procurement at the assured price and implementation of scheme for procurement at higher price in case the market rates escalate. The farmers also demanded Rs 50,000 per acre of compensation for cotton farmers, whose crops have been infested with pests. On all other demands the farmers had been already assured by the administration that they would be fulfilled.